Synergy Consulting is a sponsor at the Africa Energy Forum in Mauritius next week from June 19 – June 22 at Stand #59! Synergy is at the forefront of Infrastructure Advisory today, leveraging on its experience with both Government and Private Sector clients to develop, finance, manage, and deliver complex and challenging Infrastructure Projects. Our Team’s sector knowledge and finance expertise enables us to deliver innovative solutions for pioneering and marquee transactions. We work with Governments and Private Sector clients in implementing PPP structure in various new Infrastructure Sectors. 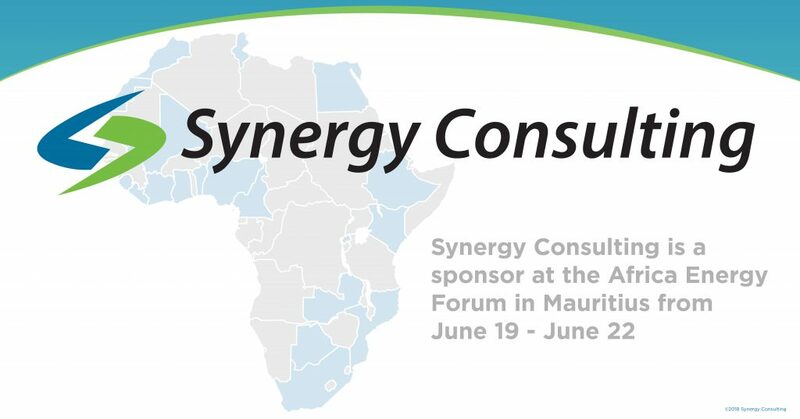 Synergy is a “Partner of Choice” for designing and delivering Training Programs across diverse sectors and geographies for both public and private entities. Our training programs are a unique blend of contemporary content and effective methodology for delivering our expertise. We see ourselves as a preferred partner for financial consulting on infrastructure projects in Africa.